Victory Windows extend their services across Surrey to areas like Godalming. Arrange an appointment for Double Glazing in Godalming today by calling us on 02392 824 006m or 02392 666955. With Victory Windows you’re guaranteed an efficient service, excellent prices and an industry leading uPVC profile. Victory Windows only stock A-rated glass and A-rated uPVC windows as standard ensuring your home is as energy efficient as possible, saving you up too £175 a year on your heating bills as well as reducing the effect on our environment. Our unrivalled uPVC profile is available in a wide range of colours including white, Woodgrain and Irish Oak, not only that but you can customise your windows as you choose. Consider adding Georgian Bars for a modern twist on a timeless classic or consider having stained, patterned, or decorative glass, allowing you to put your stamp on your brand new Double Glazing in Godalming whilst standing out from the rest of the houses on your street. Not only is our quality of product simply unbeatable but our prices are extremely competitive as we’ve been installing double glazing in Godalming and the surrounding areas for nearly 30 years. Call us today to get a quote for double glazing in Godalming and speak to a friendly member of our family run team on 02392 666 955 or 02392 824 006. Victory Windows offer beautiful, bespoke replacement windows in Godalming at extremely competitive prices. You can browse through some of our previous work by clicking here (LINK TO GALLERY) which gives you can idea of the high standard of replacement windows in Godalming that we install. It’s not just quality replacement windows Victory install in Godalming, we also offer a sublime range of other quality replacement Double Glazing in Godalming such as front entrance doors, rear entrance doors, patio doors, French doors and bi-fold doors. 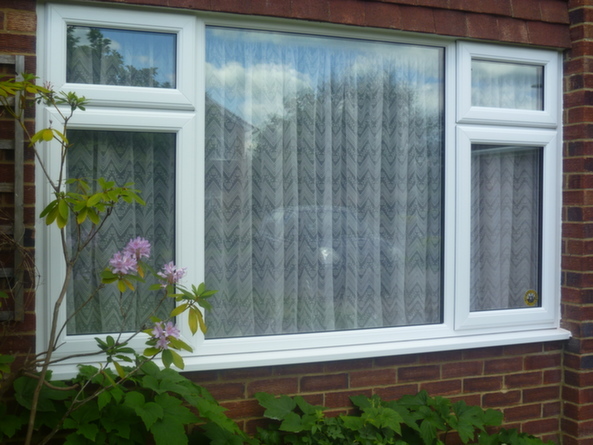 When it comes to replacement Double Glazing in Godalming we can offer a wide range of products with security in mind and internally bead the windows. We also offer a broad range of Secured By Design Composite Doors which are made to keep the heat in and the burglars out of your home. Contact us here for a quote for Double Glazing in Godalming today.